Querying in RavenDB is both similar and dissimilar to the sort of queries that you are familiar with from RDBMS. For example, in RavenDB, it is crazily cheap to find out count(*). And then there is the notion of potentially stale queries that we need to expose. You can use those to decide how to act. 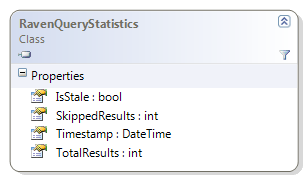 But I have to admit that, like in the MultiQuery case with NHibernate, the real need for this was to be able to do paged query + total count in a single remote request. I got into an interesting discussion about that two days ago, so I thought that I would put down some of my thoughts about the topic. Just to put some context into operation here, I am NOT talking about solving the generic problem of DTC on top of remote queuing system. I am talking specifically about sharing a transaction between a remote queuing system and a database. This is important if we want to enable “pull msg from queue, update db” scenarios. Without those, you are running into danger zones of processing a message twice. We will assume that the remote queuing system operations on the Dequeue/Timeout/Ack model. In which you dequeue a message from the queue, and then you have a timeout to acknowledge its processing before it is put back into the queue. We will also assume a database that supports transactions. We will probably need a daily job or something similar to clear out the table, but that would be about it. I am working on managed storage solution for RavenDB in an off again on again fashion for a while now. The main problem Is that doing something like this is not particularly hard, but it is complex. You either have to go with a transaction log or an append only model. There are more than enough material on the matter, so I won’t touch that. The problem is that building that is going to take time, and probably a lot of it I decided that it is better off to have something than nothing, and scaled back the requirements. The last one is important. Go and take a look at the codebase of any of the available databases. They can be… pretty scary. But something has to be give, so I decided that to make things easier, I am not going to implement indexing on the file system. Instead, I’ll store the data on the disk, and keep the actual index completely in memory. There is an overhead of roughly 16 bytes per key plus the key itself, let us round it to 64 bytes per held per key. Holding 10 million keys would cost ~600 MB. That sounds like a lot, because it is. But it actually not too bad. It isn’t that much memory for modern hardware. And assuming that our documents are 5 KB in size, we are talking about 50 GB for the database size, anyway. Just to be clear, the actual data is going to be on the disk, it is the index that we keep in memory. And once we have that decision, the rest sort of follow on its own. It is intentionally low level interface, and mostly it gives you is a Add/Read/Remove interface, but it gives you multiple tables, the ability to do key and range scans and full ACID compliance (including crash recovery). And the fun part, it does so in 400 lines! As you know, I uses future posting quite heavily, which is awesome, as long as I keep to the schedule. Unfortunately, when you have posts two or three weeks in advance, it is actually quite common for you need to post things in a more immediate sense. And that is just a pain. I just added smart re-scheduling to my fork of Subtext. Basically, it is very simple. If I post now, I want the post now. If I post it in the future, move everything one day ahead. If I post with no date, put it as the last item on the queue. This is the test for this feature. Linq has two sides. The pretty side is the one that most users see, where they can just write queries and C# and a magic fairy comes and make it work on everything. The other side is the one that is shown only to the few brave souls who dare contemplate the task of actually writing a Linq provider. The real problem is that the sort of data structure that a Linq query generates has very little to the actual code that was written. That means that there are multiple steps that needs to be taken in order to actually do something useful in a real world Linq provider. A case in point, let us take NHibernate’s Linq implementation. NHibernate gains a lot by being able to use the re-linq project, which takes care of a lot of the details of linq parsing. But even so, it is still too damn complex. Let us take a simple case as an example. How the Cacheable operation is implemented. Actually, I lied. What is really going on is that this is just the point where we are actually registering our intent. The actual code will be executed at a much later point in time. Sure, it is very easy to write a trivial linq provider. Assuming that all you do is a from / where / select and another else. But drop into the mix multiple from clauses, group bys, joins, into clauses, lets and… well, I could probably go on for a while there. The point is that industrial strength Linq providers (i.e. non toy ones) are incredibly complicated to write. And that is a pity, because it shouldn’t be that hard! Exception handling for flow control is EVIL!!! I just spent over half a day trying to fix a problem in NHibernate. To be short one of the updates that I made caused a backward compatibility error, and I really wanted to fix it. The actual error condition happen only when you use triple nested detached criteria with reference to the root from the inner most child. To make things fun, that change was close to 9 months ago, and over a 1,000 revisions. For some reason, the old version could find it, and the new version couldn’t. I traced how we got the values to criteriaInfoMap every each way, and I couldn’t see where the behavior was different between the two revisions. But even when I did a line by line change, it still kept failing. Eventually I got fed up and change the GetEntityName to return null if it doesn’t find something, instead of throw. But I knew that returning null wasn’t valid, so what the hell(!) was going on? I actually tried to track down who exactly wrote this mantrap, (this nasty came from the Hibernate codebase). But I got lost in migrations, reformatting, etc. All in all, given how I feel right now, probably a good thing. I have a very interesting problem within RavenDB. I have a set of worker processes that all work on top of the same storage. Whenever a change happen in the storage, they wake up and start working on it. The problem is that this change may be happening while the worker process is busy doing something other than waiting for work, which means that using Monitor.PulseAll, which is what I was using, isn’t going to work. AutoResetEvent is what you are supposed to use in order to avoid losing updates on the lock, but in my scenario, I don’t have a single worker, but a set of workers. And I really wanted to be able to use PulseAll to release all of them at once. I started looking at holding arrays of AutoResetEvents, keeping tracking of all changes in memory, etc. But none of it really made sense to me. By forcing the client to pass us the most recently visible state, we can efficiently tell whatever they still have work to do or do they have to wait. Joel Spolsky have an interesting article about just this topic. When I sit down to architect a system, I have to decide which tools to use. And a good architect only uses tools that can either be trusted, or that can be fixed. "Trusted" doesn't mean that they were made by some big company that you're supposed to trust like IBM, it means that you know in your heart that it's going to work right. I think today most Windows programmers trust Visual C++, for example. They may not trust MFC, but MFC comes with source, and so even though it can't be trusted, it can be fixed when you discover how truly atrocious the async socket library is. So it's OK to bet your career on MFC, too. You can bet your career on the Oracle DBMS, because it just works and everybody knows it. And you can bet your career on Berkeley DB, because if it screws up, you go into the source code and fix it. But you probably don't want to bet your career on a non-open-source, not-well-known tool. You can use that for experiments, but it's not a bet-your-career kind of tool. I have used the same logic myself in the past, and I think it is compelling. What is the cost of storage, again? So, I got a lot of exposure about my recent post about the actual costs of saving a few bytes from the fields names in schema-less databases. David has been kind enough to post some real numbers about costs, which I am going to use for this post. So, that gives a price point of 4 US Dollars per gigabyte. Note that this is a pre month cost, which means that it is going to cost a whopping of 48$ per year. Now, that is much higher cost than the 5 cents that I gave earlier, but let us see what this gives us. We will assume that the saving is actually higher than 1 GB, let us call it 10 GB across all fields across all documents. Which seems a reasonable number. That thing now costs 480 $per year. Now let us put this in perspective, okay? At 75,000$ a year (which is decidedly on the low end, I might add), that comes to less than 2 days of developer time. But let us talk about cloud stuff, okay? A single small Linux instance on EC2 – 746$ per year. In other words, your entire saving isn’t even the cost of adding the a single additional node to your cloud solution. And to the nitpickers, please note that we are talking about data is is already replicated 4 times, so it already includes such things as backups. And back to the original problem. You are going to lose more than 2 days of developer time on this usage scenario when you have variable names like tA. A much better solution would have been to simply put the database on a compressed directory, which would slow down some IO, but isn’t really important to MongoDB, since it does most operations in RAM anyway, or just implement document compression per document, like you can do with RavenDB.